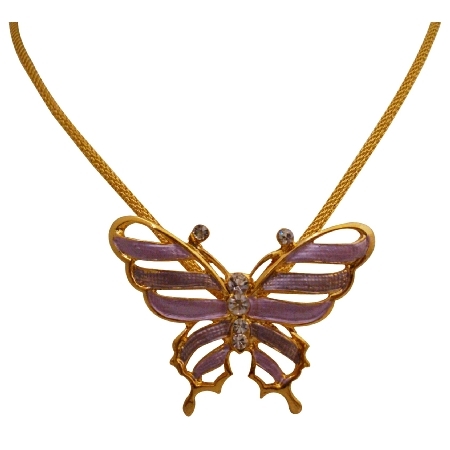 Colorful delicate stylish & trendy jewelry is the girls favorite this butterfly pendant artistically painted in lilac with rhinestones gold chainis a sentimental gift that can become a treasured keepsake & is perfect for any occasion. Buy Trendy Stylish Butterfly Pendant Necklace, sold & shipped by Fashion Jewelry For Everyone where you can shop online for Leading Online Retailer for Indian Fashion Jewelry. This Necklace Sets collection has been tagged as Trendy Necklace,Stylish Butterfly Pendant, Stylish Costume Jewelry Set.